Finding yourself a position working at a radio station can be a tricky business. On this page, we offer some tips and links for those looking to work in the UK radio industry. 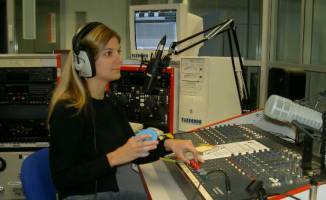 Get experience – Rather than looking for a media qualification, most radio stations tend to look for prospective candidates with experience in the field. If you’re trying to get into radio for the first time, you’ll need to start small and possibly get some unpaid experience under your belt. If there are radio stations in your area, consider getting in touch with them to offer your services. Some stations are often on the look-out for part-time (voluntary) help, especially the community and voluntary stations. Another great place to get some radio experience, is to approach your local hospital radio station and see if they are looking for volunteers. (See the HBA website to find your nearest station). Consider a course – There are several radio courses available for those looking to learn more about the UK radio industry, and to get some tips. Get a book – See our radio books page for a couple that we recommend – these include information on making that initial contact, and what potential employers are looking for. There’s also a useful book offering tips on radio presentation. Check out your local stations – The RadioCentre is a good place to get a list of the names, addresses and phone numbers of the UK commercial radio stations. There are also similar sites for community, hospital and student stations. See our UK Radio section for details on the types of stations out there. Approaching a station – If you have a particular radio station in mind, you need to think carefully about how to approach them. First off, you need to find the name of the right person to speak to at the station. Either take a look on the station’s website, or call their switchboard. Then, when you apply, you can use the personal touch, and not just “Dear Sir or Madam”. If you’re looking to do any on-air work as a presenter, you’ll be looking to reach the Programme Controller or Programme Director, and you’ll most likely be asked to provide a “demo tape”, which we cover below. Patience – Remember that there are a lot of people keen to work in the radio business, and jobs in the radio industry can be pretty scarce. It’s a competitive business, with only limited opportunities. Getting noticed by a prospective station can be tricky, and it can pay to keep reminding a station that you’re there, and keen. Do prepared for a wait, and to persevere! Keep your eye on some of the UK radio job sites and local newspapers for information on new radio services that may be starting in your area. Be persistent, and keep trying. There are several websites that list current radio job opportunities, and let you advertise yourself. Take a look at our UK Broadcast Jobs page for a few handy websites. I want job in radio. please help me how to i apply this work!!? I want to work with Radio,please let me know if i can apply. Hello I’m looking for work in radio at the moment I have my own weekly radio show at B@se Radio Bristol and I do another Radio show with Second Step a mental health charity hear in Bristol every six weeks.